well, it's been a long while since my last look on my WIP table. Well, in fact this will not be a direct review on my actual work on my table (not allowed to show it yet), but a little time travel back what happened there. 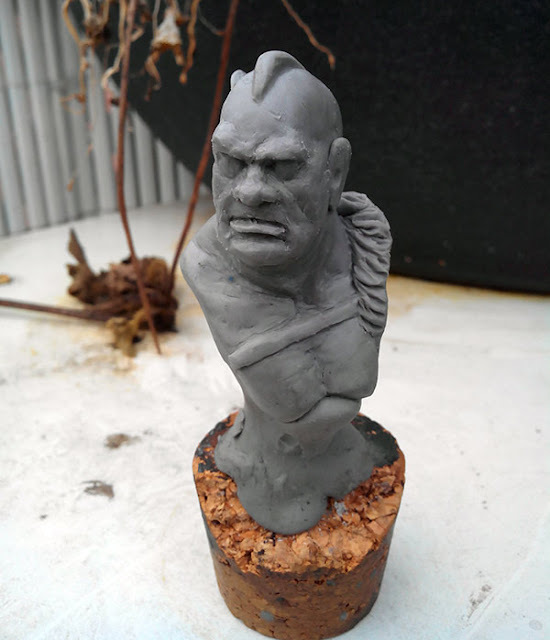 Earlier this year I was not really comfortable with colours so I grabbed some Putty. BeeSPutty actually. Ironicly I say to myself about my sculpting work: Well, I do it once a year. In fact this is pretty true. 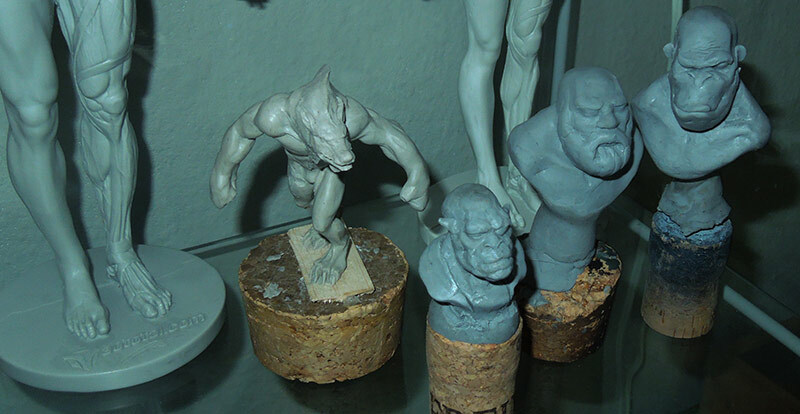 Last year I started this Werewolf - article here - and never finished him thus far. 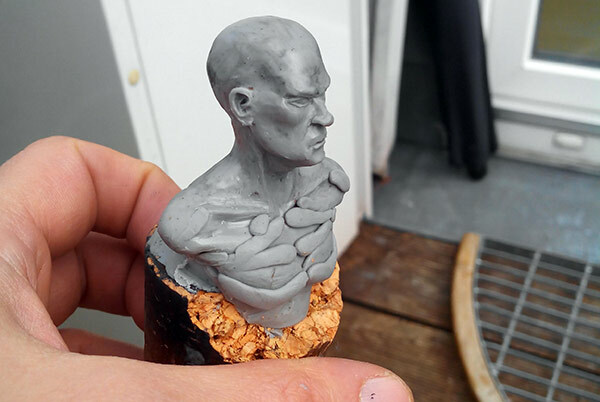 Recently I prepared myself a little bit more and took about ~2 months of sculpting time, as colors did not like me and I did not like them. 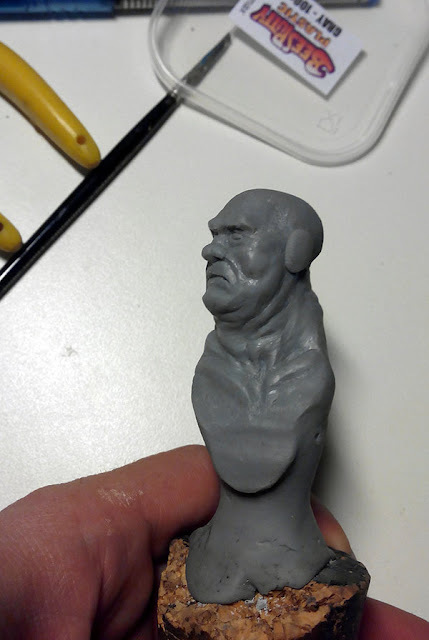 I started with a pure study, quick and fun sculpt of a bust. 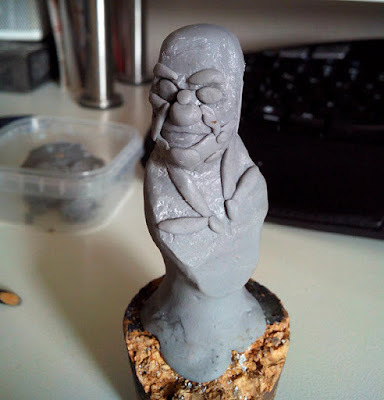 My goal was never to finish it, it was just to get back to a good feeling with putty and to use some tools. I was pretty happy how this test turned out, but never finished him. I baked him right away and he broke in the oven. I glued him. Done. Ok, I was up for a little more, found the right ticket to ride as back in these days I was really far away from painting. I needed a train to pick me up and so I found it in sculpting. I prepared myself now, but not too much as I learned for myself: If you want to learn something you have to do much, without fear of failing and with no goal in comparing your test-runs, learning work with other people's stuff. Sometimes it feels good to get back to this and it helped me a lot. So I made some Doodles, some rough quick sketches, still using BeeSPutty Plastic Firm for it. 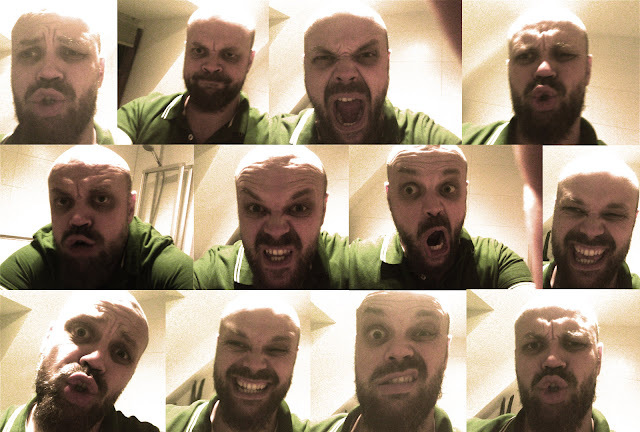 No need to put more work in these, just for fun, feeling good, enjoying quick changes made me laugh and happy. Ok, now for the next one I started I thought about a little more concept ... and skipped it again. Personally I am having problems starting from a drawing or a photo to find my concept. I am quickly dissapointed to not reach the same result as on the concept with my beginner skills. So I decided to just give it a go with some putty again. 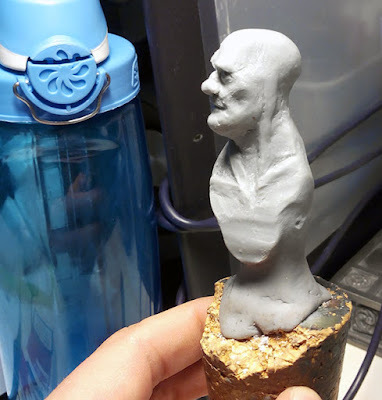 I started with some rough human shape of my bust and baked it, because I learned I enjoy to have some hard surface beneath some woobly putty. After it was baked I used a drill, blade and sandpaper to change and prepare here and there. Then I used Putty again to bring up volumes. The rough surface helps adding putty afterwards and gives it more grip to the already baked underwork. 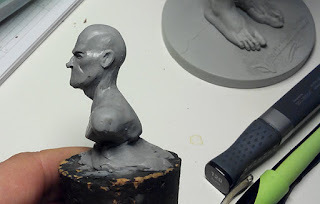 More Putty, more shapes, a mouth, a nose, a head ... Slowly I realized that this kinda looks human, but I did not want to make just a human so I decided to take myself for a little inspiration and that is why I went to create an Ogre. More fat for a fat Ogre. I am right-handed and already made the experience that sculpting on the bust's right facehalf is much more fun than on its left. Annoying experience and no matter how often I pushed myself to work more time on his right side I ended up finding myself on his left again. More Volumes attached. No detail work yet. Just here and there to find the character. While at the class of Pedro Fernandez Ramos I learned to work rough as long as possible, before going into the details to quickly. I like that. 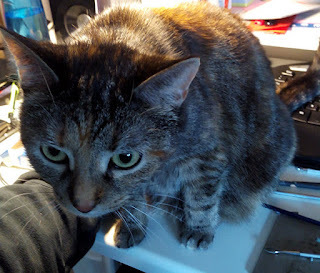 Next take my cat just jumped the table and there is not much to tell. The Ogre is behind Keiko. 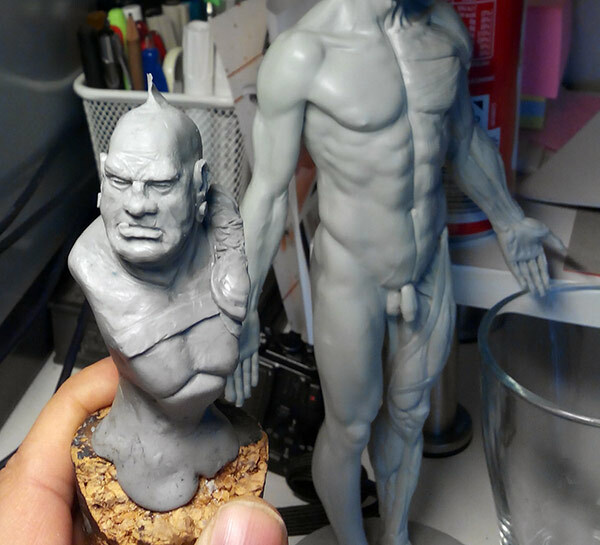 I am lucky to own an Anatomy figure by 3DTotal and it helped me a lot to check back with muscles, volumes and shapes. 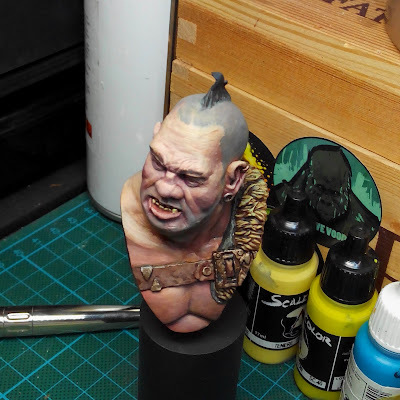 The Ogre recieved more character and I started to work on details. More and more. At this point I want to thank Raffa for his help. Very often I found myself not knowing how to move a tool to recieve this volume or this. He was always open for my questions and showed me without doing too much on the bust itself. Raffa often did some small sketches that I glued to my pinboard to understand something better. Thank you! Well I pushed on and on and it took me about 3 weeks to reach the moment to say I call it done. I really enjoyed the process of this sculpt and was happy about the result. Raffa encouraged me to make some casts of my "Ogre Brute" and painting him for the first time was a truely interesting experience. 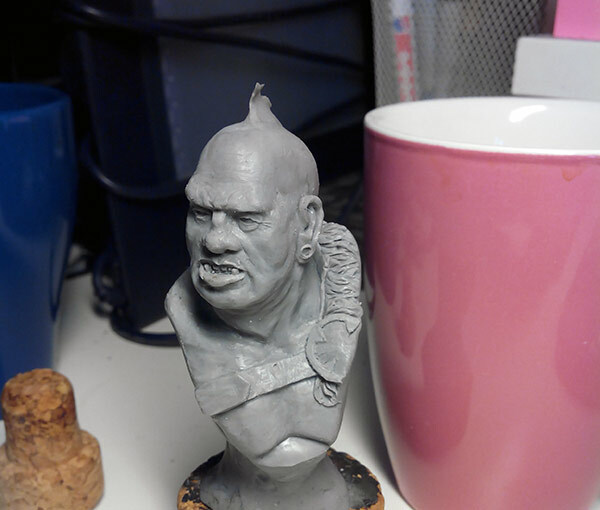 I learned again during painting him about sculpting. About areas I did enjoy while painting, about areas I hated and want to do better in the future. 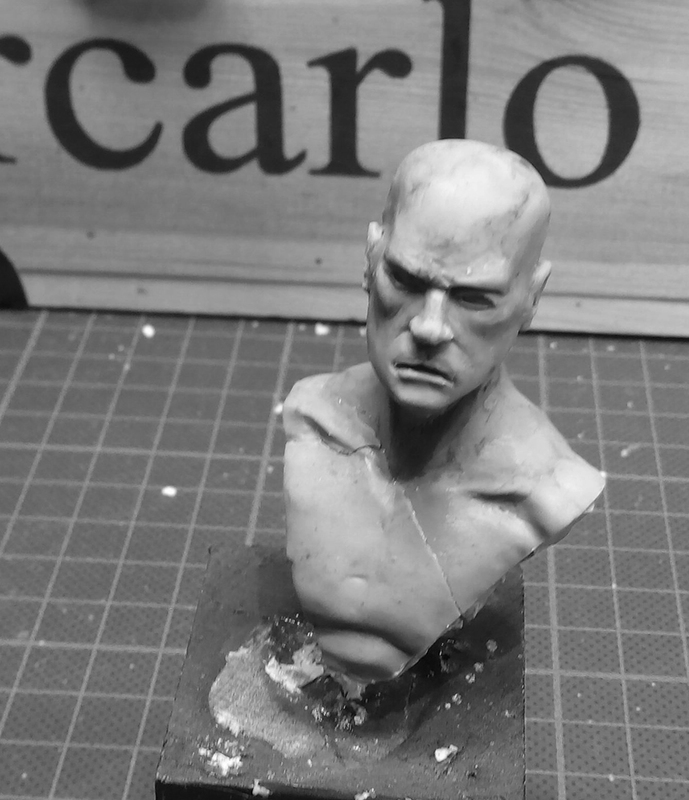 Interested in another bust's progress - check out Raffa's Sgt. Cheeky, the great Goblin Pilot. 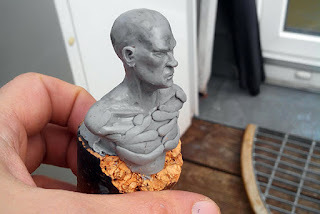 I think this is definatly not Raffa's best work to date as his progress in sculpting is just amazing, but it is good to see that everyone starts from somewhere to find his path. No need to put too much pressure on yourselfes. 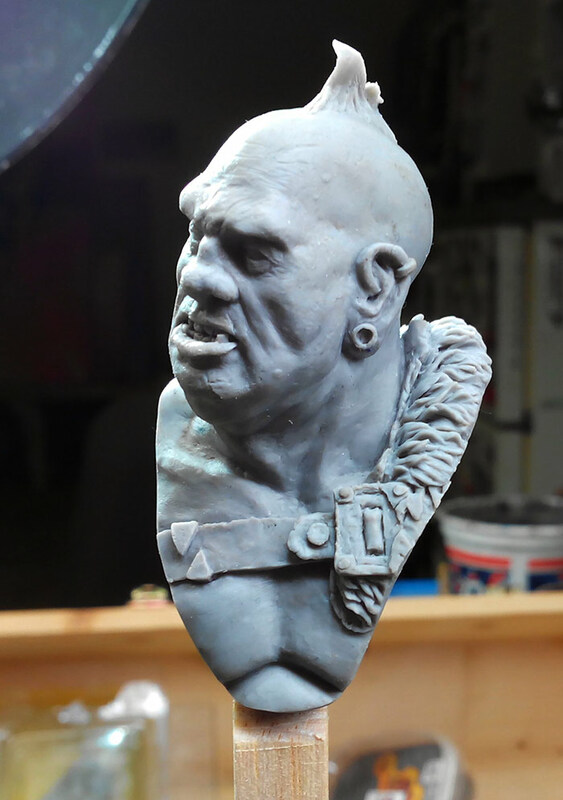 Want to own your "Ogre brute" bust sculpted by me? Happy Painting and sculpting to you, Jungle Painter! One cast for me in Gernsheim, please.